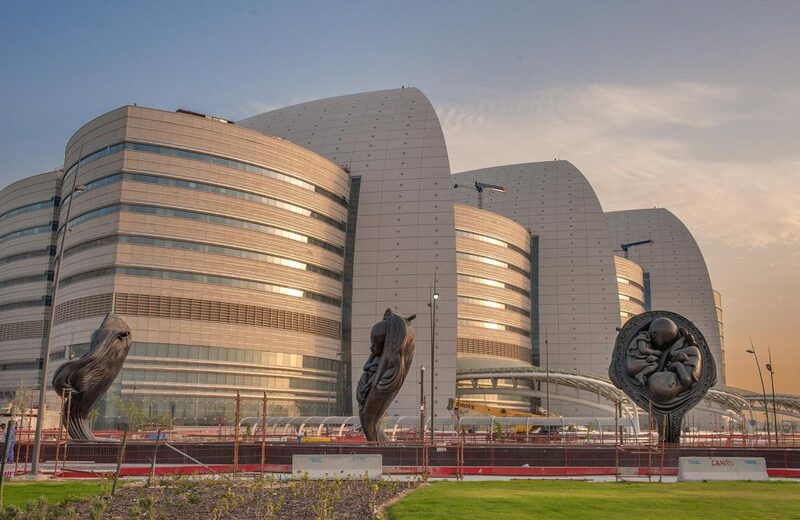 The ultra-modern Sidra Medical and Research Center is amongst the world’s most advanced hospitals. Located in Doha, Qatar, the $7.9 billion hospital is dedicated to the care of women and children, and is one of a number of scheduled medical expansions in Qatar as the country races to keep up with the regions rapidly growing population. When fully operational the hospital is expected to handle the delivery of 10,000 babies each year and will offer 400 in-patient beds. The facility also offers a range of outpatient services in the specialized areas of paediatrics, obstetrics and gynaecology, child and adolescent mental health as well as pathology and radiology. The hospital which has experienced several construction delays, began opening its outpatient services in May 2016. Led by CEO, Peter Morris, who was previously the CEO of London’s Barts Health NHS Trust, the hospital aims to set new international standards in patient care for women and children. The high-tech facility also aims to build Qatar’s scientific expertise through advancement in medical research and partnerships with leading institutions from around the world. Designed by architect Cesar Pelli, who is renowned for designing some of the world’s tallest buildings, the hospital has been specifically designed to promote healing. The dramatic glass and steel structure includes three atriums or ‘indoor healing gardens’ which can be viewed from all the patient rooms, as well as water features and art collections. Externally, the hospital is home to a provocative art collection known as ‘The Miraculous Journey’. 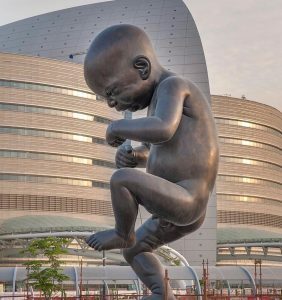 Designed by British artist Damien Hirst, the 14 huge bronze sculptures chronicles the gestation of a foetus from conception to birth, culminating in an impressive 46-foot-tall sculpture of a baby boy. The sub-contractor for this project was Woodmans Meditech LLC, who have over a decade’s experience in installing radiation shielding for the healthcare industry. Based in UAE, the company installs a full line of shielding products and specializes in turnkey installations for hospitals throughout the region from space design through to interior fit-out.